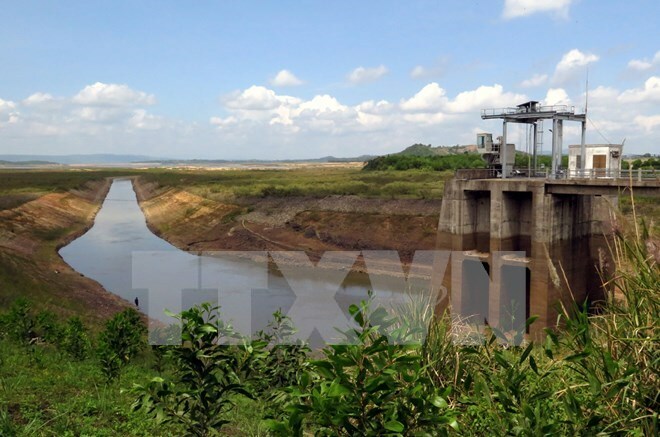 Hau Giang (VNA) – The Mekong Delta province of Hau Giang has decided to spend over 18 trillion VND (81 million USD) on building irrigation facilities to serve agricultural production, salinity intrusion prevention and climate change adaptation. The move is hoped to help promote efficiency in agricultural development, rural development, and improve the environment and living conditions for locals. The province’s agricultural and rural development sector will focus resources to complete embankment and anti-salinity dyke projects in Long My district and Vi Thanh city. Money will also be poured into the implementation of new projects, aiming to dredge about 630km of single-level canals and 1,310km of two-level canals across the country. Works related to landslide prevention will also be carried out in landslide-prone areas in eight districts, towns and cities. Hau Giang is home to about 600km of one-level canals; more than 1,300km of two-level canal systems and over 1,600 three-level ones. The locality strives to better its irrigation system and synchronously develop irrigation infrastructure, while enhancing management of fulfilled projects, contributing to the agricultural economy and improving the environment in rural areas.